Middle School Vex Robotics Team 83 brought home two prestigious awards, the Design Award and the Judges Award, after two days of competition at the California Middle School Vex Robotics State Championships. 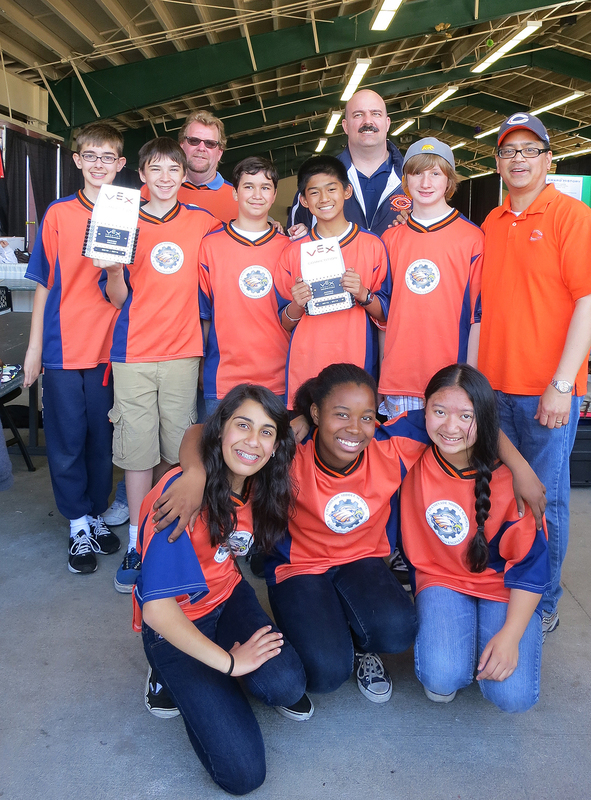 The competition featured 27 middle school teams and was held at California’s Great American Amusement Park, in Santa Clara, California. The Design Award earned Team 83 a berth at the Vex World Championships. The World Championships will be held at the Anaheim Convention Center April 23 through 26, and typically includes 160 middle school teams from more than 20 countries. Team members are Catherine Campbell, Connor Davis, Christian Gideon, Captain Noah Hosaka, Chris Mansourian, Jasmine Quan, Nate Raft and Elana Wadhwani.